If you fancy escaping from the hustle and bustle of modern life, bring your bike and go away for a retro weekend. The Anjou Velo Vintage- a vintage bike ride, means old fashioned bicycles, big skirts and berets take over the French town of Saumur this summer. Whether you’re a professional athlete or get out of breath from walking up the stairs, there’s something for you. Cyclists can choose between 34, 58 or 100 km scenic routes along the Loire river and its surrounding villages with pittoresque buildings, vineyards and old castles. The bike ride takes place on the 23 and 24th of June and everyone’s encoruaged to dress up in their best vintage clothing. Bear in mind that if your bike was made after 1987 you will be disqualified. As well as the bike ride a 2000m2 vintage village is set up for the weekend. The village is complete with vintage shops, antique furniture, swing music and old bike exhibitions. There is even a good old fashioned soiree, where a swing band will play your favourite tunes. If you want, you can join in the Lindy Hop dance and show off your best moves. This is the bike ride’s second year and it’s gotten bigger and better. With participants from all over the world including Japan and Australia, it’s fast becoming an international event. If you get fed up with fluffy dresses and men with mustaches, the surrounding area offers plenty of other activities. Why not spend an afternoon horse riding along the river followed by a kayak trip in the moonlight. If you have kids, a visit to the botanical theme park – with rides, unsual plants, shows and concerts – is hihgly recommended for both big and small. Thinking of going? Saumur is a few hours drive from Calais. You can easily get one of the up to 25 daily P&O ferries from Dover to Calais in a swift 90 minutes. It seems that summer is well and truly upon us, and after complaining about British weather throughout the cruel winter, now is the time to enjoy a bit of sun – somewhere else. 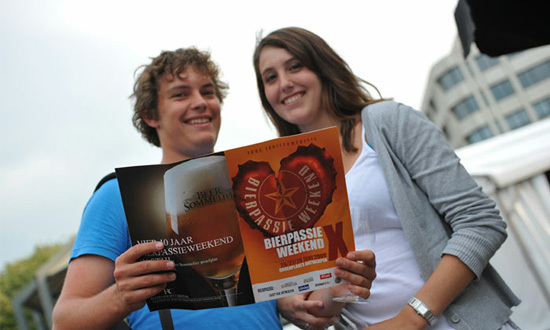 At the end of June, Antwerp will be hosting its thirteenth annual Beer Passion weekend. Belgium is famed for its beer, be it a cool and light ale enjoyed in the sun or a darker heady brew, the staunchest of allies in trying times. At Beer Passion you’ll be able to sample them all – over 200 beers from 40 Belgian breweries. Each variety of Belgian beer will be represented, from Trappist and Abbey ales to strong blond beers, red beers, brown beers, wheat beers and many more. Beer Passion runs for three days from June 29th to July 1st. Entry is free but a courtesy €3 Beer Sommelier tasting glass (20 cl) should be bought at the reception tent for use during the festival, and they make great souvenirs too. You also need to purchase tokens (€2 apiece) at the reception tent which can be redeemed for beer and food. Antwerp’s Beer Passion festival is being held at Groenplaats, an historic town square bordered with cafes and restaurants. If you need help finding it, it commands an excellent view of Antwerp’s Cathedral of our Lady, so just head towards the steeple. The spirit of this festival is an enjoyment of beer in all its diversity. You’ll get the chance to meet the brewers to learn about what you’re drinking, and it is custom for them to bring along new beers to try out on the crowd. If you intend to try every beer there, then we salute you, but a sustained drinking of 66 and half pints per day is likely to kill you, or at the very least get you thrown out of your hotel. You will, however, be able to buy a few crates of beer to enjoy back home. It’s likely that accommodation will fill up fast so try to book early. There are plenty of hotels for you stay in in Antwerp, and if you want to be first in line at the festival then there’s a Hilton on Groenplaats Square. Antwerp is a little over an hours journey from the Belgian port city Zeebrugge, you can take an overnight P&O Ferry from Hull to get to Beer Passion 2012. It’s a cliché, but probably true: if you can remember the 60s, you weren’t really there. Woodstock, JFK’s assassination, The Beatles, the first Bond film, and of course England’s World Cup triumph – so much happened and emerged in that decade that we’re glad Twitter didn’t exist then, because it would surely have broken the internet for good. 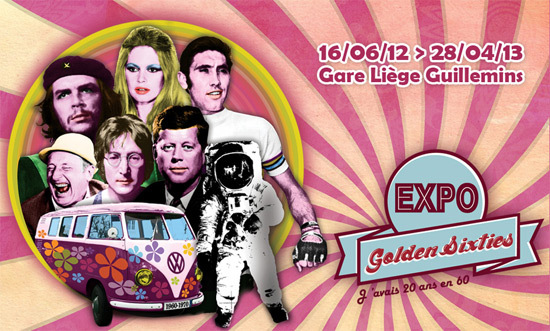 If you want to re-live or discover for the first time the glamour and excitement of that time, you can travel with P&O Ferries to Belgium, where the Golden Sixties Expo starts next month. It will take place in the pleasantly futuristic surroundings of the Liège-Guillemins TGV train station and will focus on the political, cultural and technical developments of that heady decade. Documents, artefacts, posters and multimedia will be used to convey the sense of adventure and revolution across the world. Hippies, pop art, second-wave feminism, the space race – there is plenty to marvel at, so get your ferry tickets and hop across the channel for a look back at the Golden Sixties. Tickets cost €11 for adults and €8 for under 18s, the exhibition will open on June 16th. Liège is a two-and-a-half-hour’s drive away inland from Zeebrugge, P&O Ferries’ Belgian port. Summer has arrived at last – rejoice! And it seems that the good weather has put our friends at P&O Ferries in a great mood; they’re going giveaway crazy with some truly awesome deals right now. Not only can you cram up to nine of your friends and family into a car, and take a trip across that big-blue-watery-road to France, for just £35 all in, they are also throwing in one free ticket to Disneyland Paris worth £51. It’s all part of the celebrations, with P&O Ferries celebrating its 175th Anniversary and Disneyland Paris celebrating its 20th. So if any of you are planning on taking the kids to see Mickey, and book before the 30th June, make sure you take advantage of this great offer. So what does Disneyland Paris have in store for its 20th Anniversary celebrations? According to their website there will be a new Night-time Spectacular starring Peter Pan’s shadow, an incredible parade starring Mickey and friends and loads, loads more. But remember, the fun starts on-board. P&O Ferries boasts some of the finest ferries on the seven seas thanks to their incredible new ships the Spirit of Britain and the Spirit of France. These are great offers and not to be missed, so make sure you check out our offers page and take advantage. That clock is ticking! P&O Ferries are always trying to make your on-board experience as hassle-free as possible. Cruise passengers from Dover to Calais can now try out two offers that add great value to your trip while costing only a fraction of your ticket price. Many of you will be using P&O Ferries to hop across the channel and stock up on alcoholic beverages, either for a special occasion or to buy in bulk for the months ahead. The Car Park Shopper service now lets you take advantage of the wallet-friendly prices while letting you remain onboard for the duration of the round trip. From as little as £12, you can book the Car Park Shopper and load up on beer, wines and spirits as well as cosmetics and toys. P&O staff will be on hand to take care of the heavy lifting and packing, during which you can enjoy a meal or a cup of tea before heading back to Dover. Speaking of meals: Next time you go on a cruise trip to Calais, why not spend a few quid extra and enjoy a three-course meal in Langan’s Brasserie? 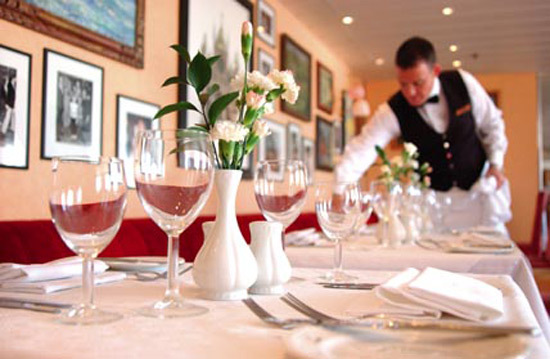 The famous West End restaurant has worked with P&O Ferries to recreate their splendid atmosphere, service and food on board P&O’s ships. By booking the Cruise à la Carte, you secure yourself a place in the P&O Club Lounge, where you’ll be welcomed with a glass of champagne and can indulge in complimentary tea, coffee and soft drinks. On the return journey to Dover, you will be served a delicious three-course meal in Langan’s Brasserie – what better way to end a relaxing trip? To view the details of these offers, both of which are available on cruises from Dover to Calais, go here. If you’re looking for somewhere to go this summer and are not after sweltering beaches, may we advise that you consider the Dutch city Leiden? Leiden is a well-kept secret, since it’s surrounded by the larger cities of the Netherlands like Utrecht, The Hague, Rotterdam and Amsterdam. This city has a rich history and is situated at a crossroads in Holland, so you’ll be able to get to all the other tourist hotspots in the country. There’s plenty to see in Leiden. The city was founded in the 16th century and became a centre for the European wool trade. It saw a major decline but diversified its industries attracting artists, scientists and engineers who gave the city a major boost in culture and affluence in the late 19th century. There’s a curious mix of old and new in Leiden. It is home to the oldest university in the Netherlands, with a fifth of its population forming the student body. This gives Leiden a vibrant nightlife which contrasts with the city’s aged setting. The old industrial aspects of the city (e.g. the canal network) make a great way to tour through the city. 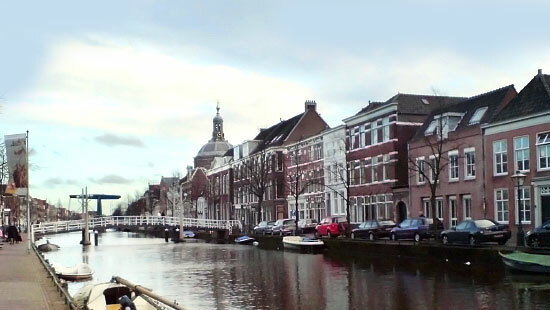 When Leiden returned to wealth in the 19th century, many large and lavish buildings were constructed, making Leiden a picaresque city ideal for afternoon jaunts. It is a relatively small place easily traversed by foot or on bike. Muurgedichten – The Leiden is decorated with wall poems, and you can take a paid tour, have a bit of a poetry lesson, print out a map and see for yourself. Alternatively, you can just amble through Leiden with your eyes peeled. Hofjeswandeling – A tour of the city courtyards, this will expose you to some of the finer architecture Leiden has to offer as well as some of the history and local lore. This tour will take you through the Wan der Werff Park, named after the mayor who was accused of hiding food reserves when the town was under siege by the Spanish. To show the sincerity of his denials, he offered to cut off his arm and offered serve it to the public. We would also recommend you visit the Burcht of Leiden, which is one of the best preserved Motte Castles in the Netherlands. It sits high upon an artificial hill and commands the best view of the city, with foundations dating back to the 9th century. There are three National Museums in Leiden covering Natural History, Antiquities and Ethnology. The National Museum of Ethnology hosts one of the world’s largest collections of ‘the artefacts of man’ compiled and researched with the help of Leiden University. Shopping and eating out is a varied experience in Leiden – it retains the ‘melting pot’ aspect of its early years with the local populace cooking up all forms of cuisine. Prices range from absolute luxury to those suitable for the city’s student population. Shopping areas are but a 15 minute walk from the central station. You can make your way to De Slegte, a 3-floor bookstore found on the Breestraat. This shop has a large selection of second-hand books at great value. Tourists out for a bit of exploration should stop off at Verswinkel for freshly made bread rolls made right in front of you – they’re among the very best in Europe. They’re represented at Leiden’s open markets held on Wednesdays and Saturdays. You’ll also be able to get there late on a Thursday, when most of the shops in the city remain open until 9pm. Leiden is located near the centre of Holland so P&O Ferry’s can take you Rotterdam and you’re just a short trip from the wonders of Leiden. Apart from going interrailing, a roadtrip by car remains the most interesting way to explore a different country. You’re constantly taking in scenery and are at liberty to change course or stop off wherever you like. Holland, with its peaceful, idyllic landscape and great infrastructure, lends itself to exploration by car, especially in the early summer. You could start your trip with P&O Ferries, travelling from Hull to Rotterdam and then work your way down the coast. To the South of Rotterdam lies a province called Zeeland, a region full of coastline, peninsulas and islands, which makes for a great ride through towns and beaches. 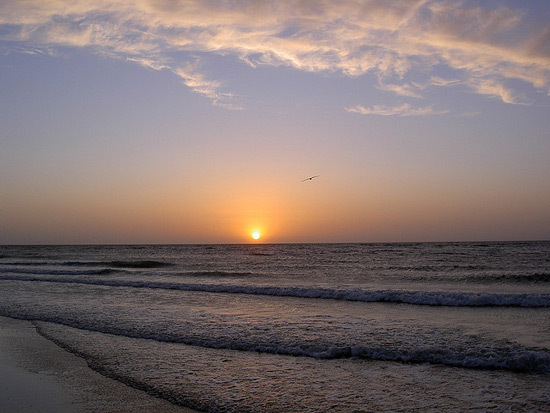 Zeeland means “sea land” in English, and it’s a popular – but, crucially, not overrun – spot for tourists who want to relax in quiet surroundings but also want to be close to the sea. The more you’ll drive around Zeeland, the more you’ll realise how diverse this speck of land is – there are beaches catering to water sports enthusiasts, but also small and rustic beach towns (such as Middelburg and Veere, both located on the Walcheren island) and rentable cottages where you can stop off for the night and use it as your starting point for a little walk. This being Holland, you can always rent a bike and go for a little tour wherever you are. If you’re travelling with children, you might be interested in the entertainment park in Efteling, a city that lies a bit further inland. The coast of the Netherlands is a great area for driving around, stopping off for a night or two, enjoying the local scenery and beaches, and then moving on. To get you on your way, you can get a P&O Ferry from Hull to Rotterdam for just £376 (price for two adults, two children and a car).